Here are some great hands-on woodworking projects that anyone, including kids, will love! Finally, your kids’ Legos can be functional! This project is actually not as difficult as it looks. Check out the tutorial here. The tree slice photo hanger you see in the background is just one example of what comes in a Makers Kit – a monthly craft box that lets your kids actually build some pretty cool stuff with their hands. If you’re a parent with an inquisitive young one, I’d highly recommend checking it out. Photozz provides us with the basics. Simple boxes are a great project for children just getting started. This can easily be done in a day. Check out the full tutorial here. A miter saw is needed for this, but it is a fairly simple (and beautiful) project for young ones. Could there be a more classic first woodworking project? Best of all, you can hang it in your back yard and let your kid see their handiwork on display for years to come. Skip to my Lou shows us an easy way to have fun, and share a unique experience with our kids. See the tutorial at Wood and Faulk. It’s Always Autumn says miter saws are optional for this project, but you’ll need a circular sawor jigsaw instead to cut straight edges. Besides just the woodworking, you can also bust out some creative paint for this one! Via A Beautiful Mess. It doesn’t have to be Texas… but you get the idea! From KillerBDesigns. This one is really light-duty – using paint stirrers as your lumber. Via Buzzle. This is a great woodworking project for kids because if you can put three pieces of wood together and cut a hole in it, you can make this wooden sofa sleeve cup holder. Mandi Johnson from A Beautiful Mess gets the credit for this clever project. I love DIY woodworking projects for kids that they can actually make use of themselves. 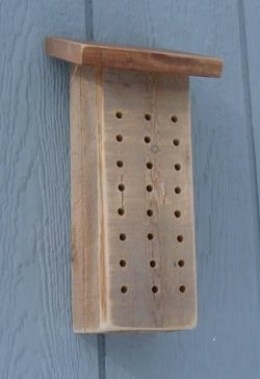 You’ll need a drill to make the holes, but the project is pretty simple overall. Via That’s My Letter. Just don’t use these to spank your children after they’ve spent time making them – that sounds like a psychological issue waiting to happen. Tutorial on Fairgoods. We showed a very simple bird house project earlier on our list, but this one is still kid friendly – maybe just for older kids with a little more patience and skill. ViaSimmWorksFamily. How cool are these things? Via Mother Natured. As Jenna Burger points out, you can even get Lowes to do the wood cutting for you ahead of time! A cool place to keep homework and folders. Via Kara’s Creative. Join our email list & get crowd-pleasing recipes, entertaining and decorating ideas, planning tips and more when you subscribe. Next Next post: 35+ VEGAN FINGER FOOD DISHES!